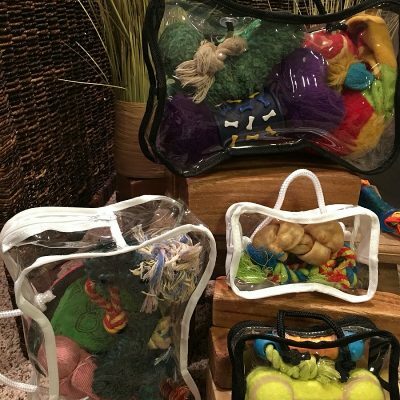 Our new pet accessory vinyl bags are perfect for grouping together a variety of pet toys, accessories and samples. These vinyl bags are made from the highest quality materials. We only use Super Clear EN71 prop certified films coupled with nylon or poly trim and zippers are made in house to ensure durability. You can order samples below. Or, to place an order please call us at 800-457-BAGS(2247) and speak to an account representative.